And yet it moves: the Emdrive, the motor impossible. NASA has released the results of a test that would confirm the controversial electromagnetic propulsion, that could get us to Mars in 70 days and without fuel, though defying the principles of physics. The prototype of the Emdrive used in NASA’s testing. After years of speculation, an experimental research team of NASA’s Johnson Space Center has reached a milestone that many thought impossible: to test the possibility of building an electromagnetic propulsion system that allows a spaceship to travel into space without using any kind of propellant. 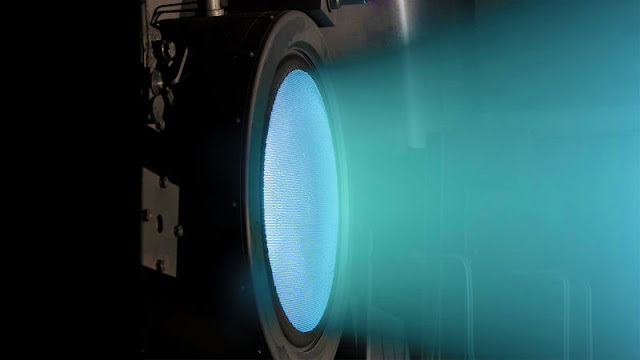 According to the team that published the study of Aerospace Research Central, the electromagnetic propulsion engine, or Emdrive, it converts electricity into drive simply by bouncing microwave in a closed space. In theory, an engine so light could one day send a spacecraft to Mars in just 70 days. The problem is that the Em Drive seems to defy the laws of classical physics: the same researchers who say it could work because it does not know. Other studies on this kind of engines have been greeted with enormous skepticism, and many physicists Emdrive to relegate the world of pseudo-science. The difference is that the most recent study has gone through a level of scrutiny by independent scholars who suggests the possibility that the Emdrive really functions. We are at the beginning of a revolution in space travel or the new “false start” of a space engine “impossible”? Let’s order. Proposed for the first time almost twenty years ago by the British scholar Roger Shawyer, the current Emdrive model was developed and tested by the technicians of the Advanced Propulsion Physics Research Laboratory of NASA, or more familiarly Eagleworks. Simply put, the Emdrive of Eagleworks generates thrust by bouncing electromagnetic energy (in this case, photons in the microwave frequency spectrum) in a closed chamber in the shape of a cone. Bumping into the walls of the room, the photons somehow push the device forward, despite the fact that nothing comes out of the room; It is the opposite of what happens for example with some ion engines currently in use at NASA, which create thrust by ionizing a propellant (mostly xenon gas) and releasing beams of charged atoms. This would mean – assuming that the Emdrive exceed more tests – that a vehicle could whiz through space without the need to carry tons of fuel in the future. In space travel, the opportunity to travel light is crucial to cover long distances quickly and cost-effectively. China says they already started the construction of EM propulsion Rockets.